Chefs everywhere are starting to realize that growing your own produce isn’t all that bad. When it comes to growing your own herbs in an urban dwelling, it could become quite the hassle to figure out where exactly you’re going to plant these fresh seeded herbs. Futurefarms Spacepot is on a mission to make this issue obsolete, making hydroponics more accessible to everyone by applying the methods of “simple and fun” to the process. For the not-so-natural botanist; in five weeks (maybe less) you can have your own fresh herbs grown and ready to utilize in your most epic dishes, while also bragging to your family and friends that you grew those herbs right there *points to Spacepot*. It’s literally the set-it and forget it method that all home cooks have learned to love thanks to that famous TV infomercial. Get’s you every time huh? 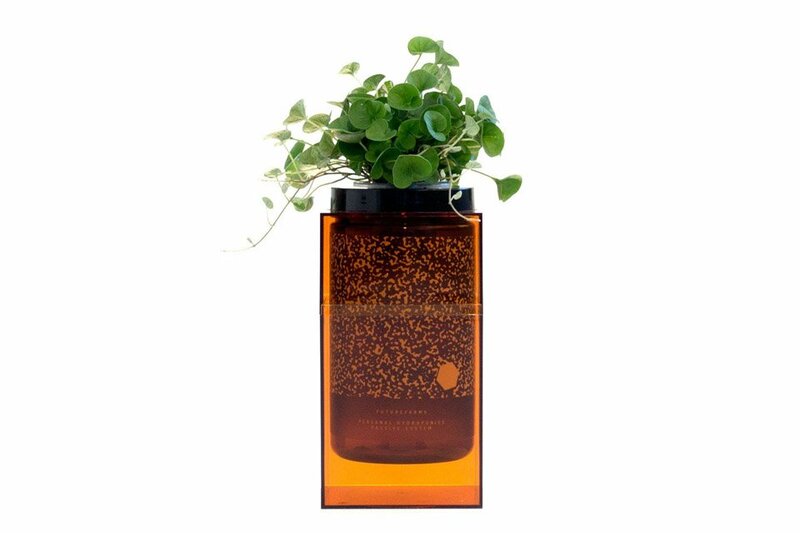 Another feature we love about Futurefarms Spacepot is that each one is meticulously handmade in Los Angeles, California using only the highest quality components. To get the full setup going you’ll also need to purchase their Growpods which include specially formulated nutrients – enough for approximately 8 months – to start growing those fresh, flavorful herbs.